McStay Family Update: Joseph McStay's father calls probe of Calif. family's 2010 disappearance "botched, inept"
(CBS) - The father of Joseph McStay, whose remains were found in the Southern California desert this week three years after he went missing with his wife and two children, called the investigation into his son's disappearance the most "botched, inept investigation I've ever seen in my entire life." In a telephone interview with CBS News' Crimesider on Friday, Patrick McStay called the San Diego Sheriff's Office, which spearheaded the investigation into his son, daughter-in-law and grandchildren's 2010 disappearance, the "dumbest, most corrupt organization" he's ever seen. He said the department didn't even bother to contact him to tell him his son's remains had been found. "I got a message from someone [on Thursday] on Facebook telling me to go and read an article," McStay said. "The minute I read the article, I knew it was him." 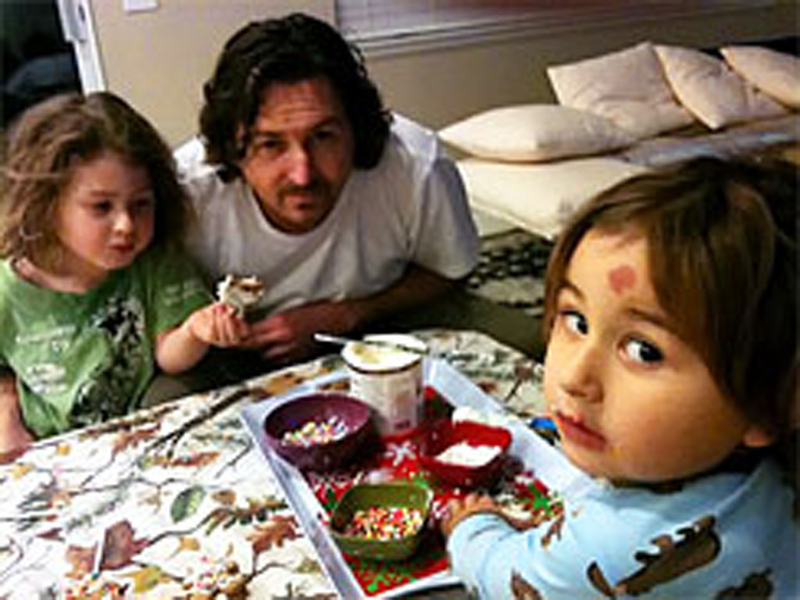 Joseph McStay disappeared along with his wife, Summer, and their two young children, Gianni and Joey, in February 2010, launching what San Diego sheriff's investigators called their most extensive missing-persons search ever. Investigators reportedly pursued hundreds of tips and eventually came to believe the family left voluntarily for Mexico. Investigators were convinced that four people seen on a dimly lit surveillance video walking into Tijuana, Mexico were the McStays. Authorities announced Friday that remains found Wednesday in shallow graves near Victorville, about 60 miles northeast of Los Angeles, were those of 40-year-old Joseph McStay and his 43-year-old wife, Summer. Authorities said they believe the other remains belong to the McStay children, but they have more work to do to confirm it. Their deaths were determined to be homicides. Autopsies were still being completed, and the cause of death has not been released. "I'm a realist. I suspected this from day one," Patrick McStay told Crimesider. "But I always hoped in the back of my mind it wouldn't be true." McStay expressed strong dismay with the San Diego sheriff department's handling of the investigation. He said he's been fighting with the department since February 2011 when he filed a complaint with internal affairs. "I haven't heard a word from anyone since then," he said. McStay said he was responsible for uncovering much of the evidence in the case and that he would give authorities information that they failed to uncover, including credit card transactions and e-mails, which he says had important information pertaining to the investigation. "Detective Dugal is the biggest schm**k in the world, he should resign," McStay said of the lead detective on the case. McStay said he believes authorities jumped to the conclusion that his son, daughter-in-law and grandchildren left on their own because they didn't want to spend a lot of time or money on the investigation. He said authorities made it into a simple case to "take the pressure off." Jan Caldwell, the public affairs director for the San Diego Sheriff's Department, disputes McStay's assertions, telling Crimesider Friday, "No one wants to find the answers more than we do." "We conducted hundreds and hundreds of leads that yielded no investigative substance," Caldwell said. "While this case went cold, we never stopped working on it." Caldwell attributed much of McStay's criticism of the department to anger and grief. "I understand he's angry, and I hope that this tragic outcome will yield clues that we need to get him and his family the answers they deserve." She went on to say that while the department had "reason to believe" the family may have been in Mexico, that was not the only "investigative avenue" they explored. "Everything that came to us, every single thing no matter how large or how small, we looked into it. We investigated it until there was nothing left," Caldwell said. The San Bernardino Sheriff's department is now the lead investigative agency on the case. The FBI and the San Diego Sheriff's Department are assisting.